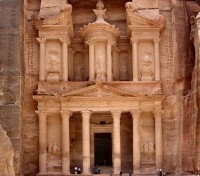 Explore the UNESCO World Heritage Site, Petra, with private guide. With private guide, discover the desert wilderness of Wadi Rum. Ascend Mount Nebo for captivating views over the Jordan Valley. 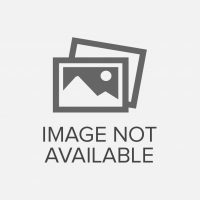 Selection of 5* accommodations as suggested by regional specialist. 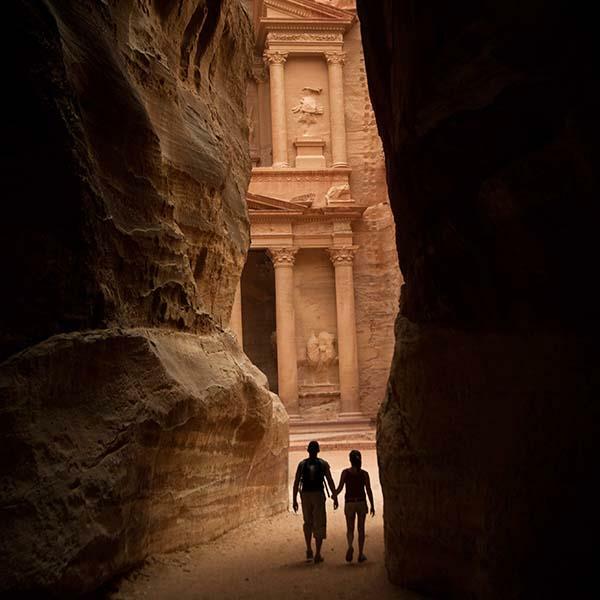 Float in the Dead Sea, and bask in the monumental glory of the ancient, rock-carved city of Petra, as you journey through the signature sites of the Arab kingdom of Jordan. 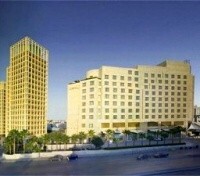 The Grand Hyatt in Amman offers central access to the city's hustle and bustle. The rooms are well-appointed, with many options on style, size, and luxury. Choose the club rooms for all the frills and extra touches. The standard room also promises lush bedding and linen, with arabesque decor. Friendly and professional service is promised to all guests. Dining is an occasion to be enjoyed, with delicious international and local specialties served in all fashions. Try the chefs' specialties using seafood, Mulwarra beef, or spices from across the globe. Walk through the mall for some window shopping or when picking up souvenirs. Later, cool down in the hotel swimming pools. 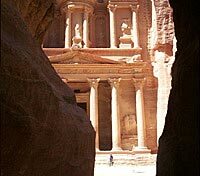 Sit back and relax on your 3 hour transfer from Amman to Petra. After breakfast, depart for the Dead Sea. On the way, embark on a tour of Madaba, best known for its spectacular Byzantine and Umayyad mosaics, Madaba is home to the famous 6th century Mosaic Map of Jerusalem and the Holy Land. Close to the Church of the Virgin is the Madaba Institute For Mosaic Art and Restoration, which operates under the patronage of the Ministry of Tourism. The only project of its kind in the Middle East, the Institute trains artisans in the art of making repairing and restoring mosaics. Continue to visit Mount Nebo, the mountaintop memorial of Moses with captivating views of the Jordan Valley, Dead Sea and The River Jordan. 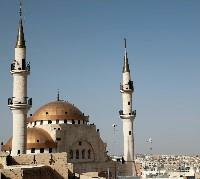 A small Byzantine church was built there by early Christians, which has been expanded into a vast complex. During his visit to Jordan in 2001, the Late Pope John Paul II held a sermon here that was attended by some 20,000 faithful. 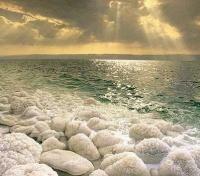 Arrive at the Dead Sea. Highly commended by the international hospitality industry, the Kempinski Ishtar, located at the Dead Sea, is one of a kind. With 117 rooms and suites with balconies, terraces or verandas, the hotel’s allure is not simply in its proximity to the Dead Sea. 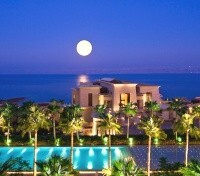 It is the chic design and architecture of the property and rooms that lends flair to a vacation. The restaurants, host to international fusions and trendy bar settings, are exciting and full of surprises. With endless views of the sea and the 9 swimming pools on the hotel grounds, some appearing to overflow into the Dead Sea, the hotel is unforgettable. 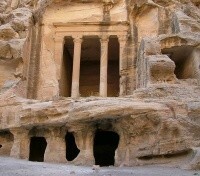 Avail of a private transfer between the Dead Sea and Amman. 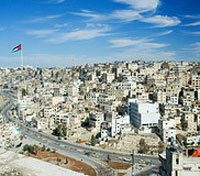 Start the day with a city tour of Amman. 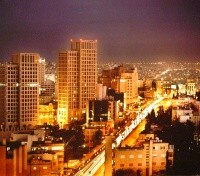 Amman is the capital of Jordan which is a fascinating city of contrasts – a unique blend of old and new, ideally situated on a hilly area between the desert and the fertile Jordan Valley. The visit will include the fascinating Roman Theater and Nymphaeum that reflect the historic legacy of the city, and the enchanting Citadel which has stood since the ancient times of the Ammonites. Your touring will also include visits to both the Archeological and Folklore museums. If it's shopping you're after, then the pedestrian Wakalat shopping district offers a wide selection of international brand names to choose from. For a more exotic and traditional experience you can visit the old-downtown, also known as the ''Souq'', and take in the traditional sights and smells of the spice market, and shop for authentic souvenirs. Upon departure, you will be met by representative at the immigration area prior to the Visa desks who will assist you at the counter on departure.